I must admit I have this fixation with denims. Or an obsession probably. From tops to bottoms, I must have it. And just by having these amazing hauls keeps more happy than actually wearing them. Right! It’s quite nice to have a dependable denim top and pants. You can never go wrong with your trusty old denim. 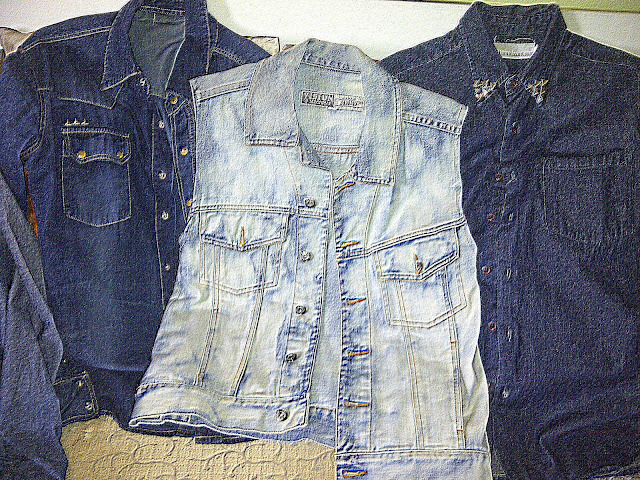 Although it’s super hot now, and wearing this denim top with this weather is quite self-punishing. But of course there are light weight jeans that could still be worn. This is my growing collection of denims. All of these were just thrifted from almost anywhere. With a creative mindset, I turned each of these outfits even cooler from various fabric manipulation techniques like dyeing and bleaching. Though not that refined, I am just so happy of what I have achieved. The things that you value the most are the things you have worked hard for.